The Color Closet is Sara's first interactive book for the iPad. Published by the innovative team at Twistframe, this book lets the reader colour the story in whatever way tickles their funny bone. 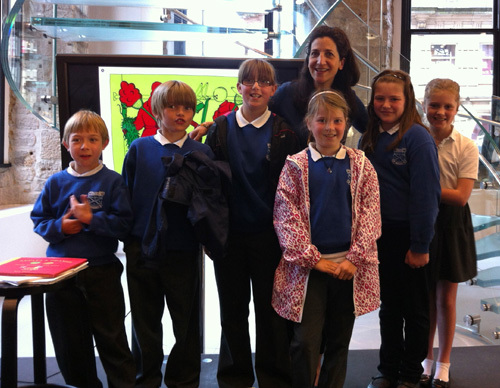 Chryston Primary's P5 class at The Color Closet launch party at The Apple Store in Glasgow, Scotland. Open the doors to The Color Closet and discover a world where an orange skeleton can wear turquoise boots and mustard mice like to spin red hangers.